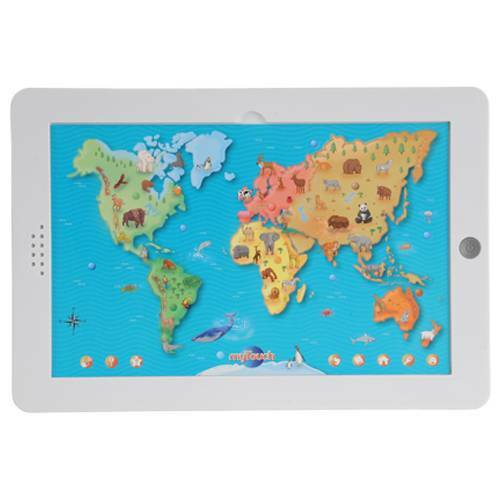 Learning about the world's animals is fun with this 8 1/4" x 12 1/4" W. touch board. It has 55 interactive animals and 300 facts and questions and real animal sounds. There's also a 2 level quiz about animals, continents and oceans.